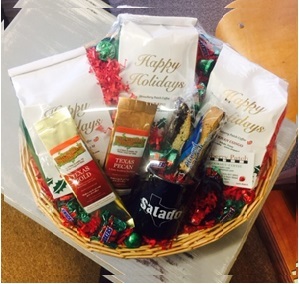 Let our staff create a gift basket from the items you personally select. The list price for this item includes the basket, packaging material, decorations to your specification, and a card hand filled out by our staff. When you purchase the custom basket, make sure to type in any additional specifications in the remarks section (in the shopping cart) at the time of purchase. Upon completion of your purchase, we will give you a call to find out how to make it the perfect gift, or you can call us at 800-270-7984.